Please join The Stream in praying for Sen. McCain's family, friends and constituents. Reporter Stephen Lemons, who wrote about McCain for The Phoenix New Times for many years, says “John McCain is neither a maverick nor a reformer.” Instead, “He is a cunning promoter of his own self-interest, a charlatan with a knack for playing both sides of an issue to his advantage. It is political expediency, not courage, that defines McCain’s 35 years in Congress.” He was known for his temper and mean-spiritedness toward his opponents, threatening them and using profanity. Good article & insights, thanks! Arizona – Please vote for Dr. Kelli Ward in the primary this coming Tuesday!! It doesn’t seem particularly “maverick ” to follow several generations along a gilded path into the military. It seems rather predictable to translate a highly publicized and heroic suffering into a profitable political career. It isn’t novel to see a politician embroiled in a financial scandal suddenly become a born again crusader for justice. 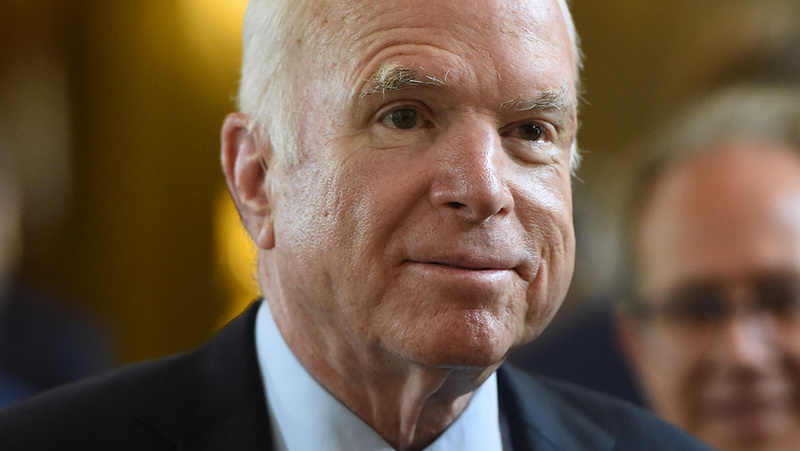 Time and history will eventually settle John McCain’s place and legacy, but for the moment he continues to be used as a pawn to obstruct and obfuscate the much needed conversation about the future of America. I understand all the accolades and reflection on his life at this time and am very sympathetic to his family for their loss. What is hard for me to accept is not stepping down from the work he was elected to do when he could no longer do his duties, being paid 15k/mo as a Senator not doing his job for 8-9 months. He was the best republican ever owned by the Democrat party.